This sculpture is an original design, hand enameled. 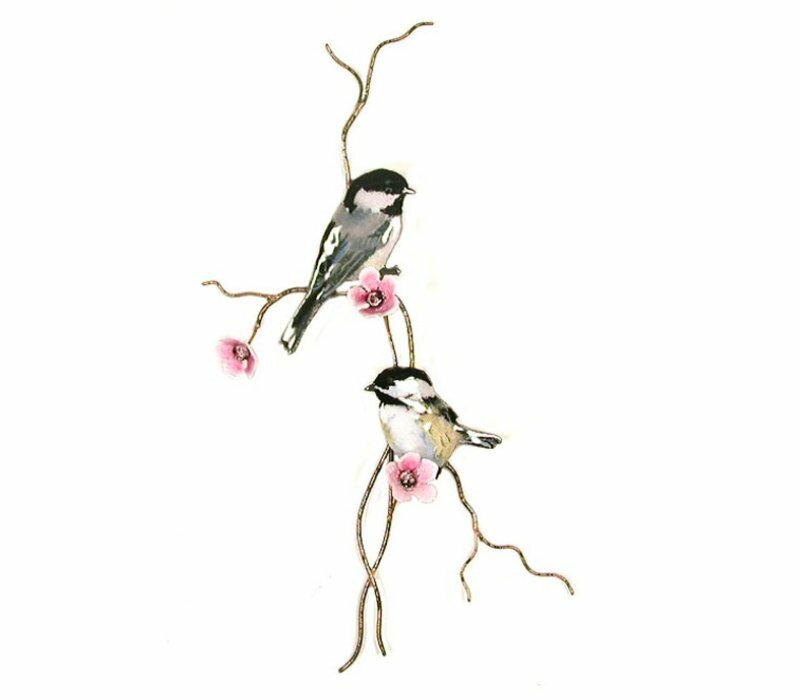 Vitreous enamel (pulverized glass) is applied by hand, using a delicate sprinkling method layered over solid copper and then kiln fired. 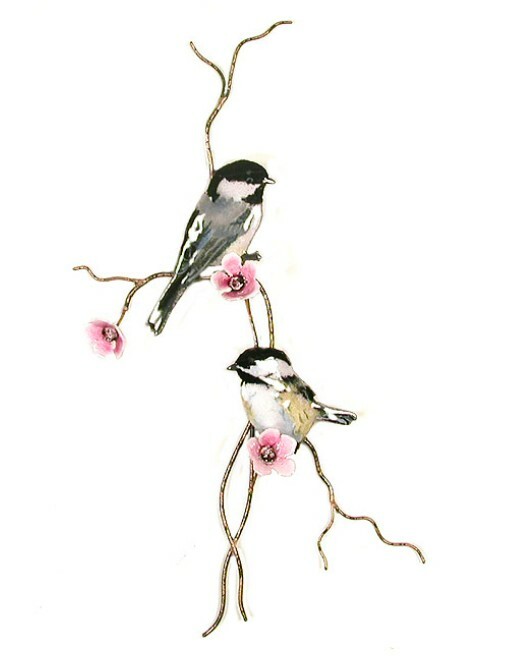 This piece features two detailed, lifelike chickadees perched on branches with beautiful pink flowers. It is colored by sprinkling pulverized glass designs onto the copper sculpture and kiln-firing the work under extreme heat to fuse the colored glass onto the metal. Approximate size: 6" x 13"